Desserts can be one of the most fun things to bring to a gathering. Not only is it the last thing people may have that evening, it’s also an easy way to up the “wow” factor in your contribution to the event. I adore trying new things that are complicated and take lots of steps, but there are times when all I want is to be able to whip up something simple and quick before hurrying off to a friend’s house. This is the BEST dessert for such an occasion, IMHO. I love that you can personalize it any way you choose, you can increase or decrease the calorie count, and you can substitute almost any flavor and still have a really fantastic dessert. NOTE: In this specific dessert, I added a few tablespoons of a light, dry Pinot Grigio to each can of pie filling before I began assembling my dessert. For the first layer, I tore half the angel food cake into small pieces and spread them on the bottom of a trifle dish. I then added one can of strawberry pie filling (to which I had already added the Pinot Grigio) and then spooned an entire small container of light whipped topping and spread it out to the edges. *Make sure to spread each layer to the edge of the dish so they’re easily seen from the side. For the second layer, I tore the remainder of the angel food cake into small pieces and spread them across the entire dish. 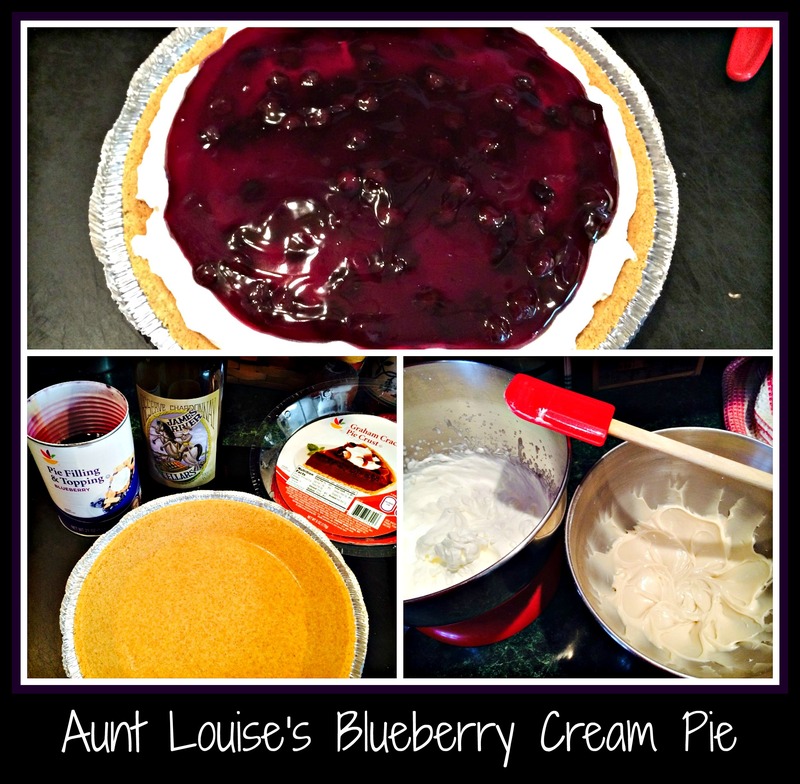 I added one can of blueberry pie filling (which had already been doused with wine) and spooned the second container of whipped topping to cover the dessert. My final addition was a sprinkling of gold sugar crystals, just for decoration. My cousin makes this recipe using cherry pie filling and then names it “Cherries in the snow”… it’s my son’s “go-to” dessert when he’s asked to bring something to an event. I’ve also added vanilla pudding between the pie filling and the whipped topping (or you can add it between the cake and the pie filling). 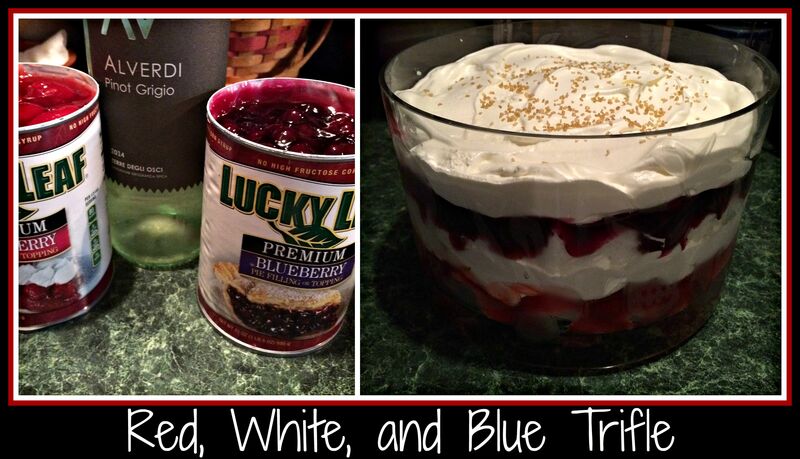 Trifle desserts are such fun to make and create. Use your favorite ingredients and come up with your own favorite flavor combination… you’re only limited by your own imagination! 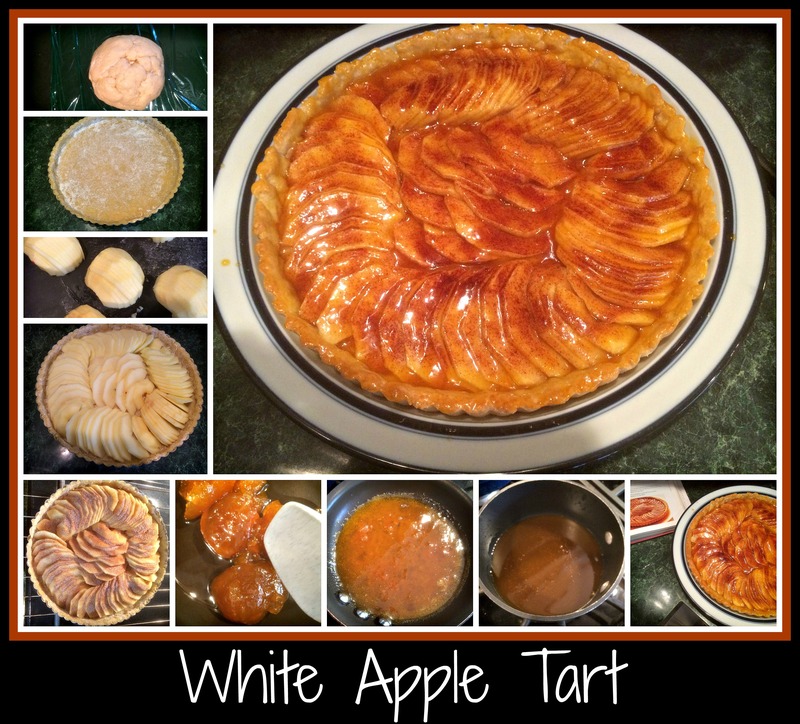 As a Starter Recipe, I try to make things easy and simple so that anyone just learning to cook can make the recipe. This snack food fits the bill, in my opinion. I was put on a jury recently and wanted to make something to share with my fellow jurors on our final day… this was the food I brought to keep us focused as we concluded our duty. Preheat your oven to 400 degrees and spray your cupcake tins with cooking spray. I used two small cupcake pans (12 small cupcakes in each) and one mini cupcake pan (also with 12 mini cupcakes). Empty the brownie mix, pumpkin, and chocolate chips into a large mixing bowl. Pour in a small bit of wine/liquid (start with 1/4 cup) and mix all ingredients together until well incorporated. If the batter seems too thick, add a bit more wine/liquid. I like this batter to be fairly thick, but not so thick that the batter could stand alone, like a cookie dough. 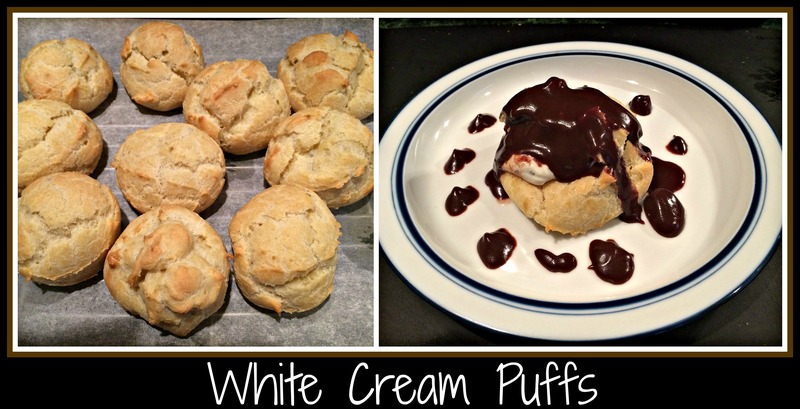 Using a cookie scoop, ladle out the dough into the cupcake tins. I used a medium scoop for the small cupcake tins and a small scoop for the mini cupcake tin. Sprinkle with decorations, if desired (I used gold sugar) and put the tins into the oven. I baked the mini cupcakes for 15 minutes and the small cupcakes for 3 minutes longer (18 minutes total). Use a toothpick to test when making sure the fudge-cupcakes are cooked thoroughly. These fudge-y cupcakes will get very sticky if served the following day, so be sure to allow them to dry a bit so they don’t actually stick to the fingers of your guests. 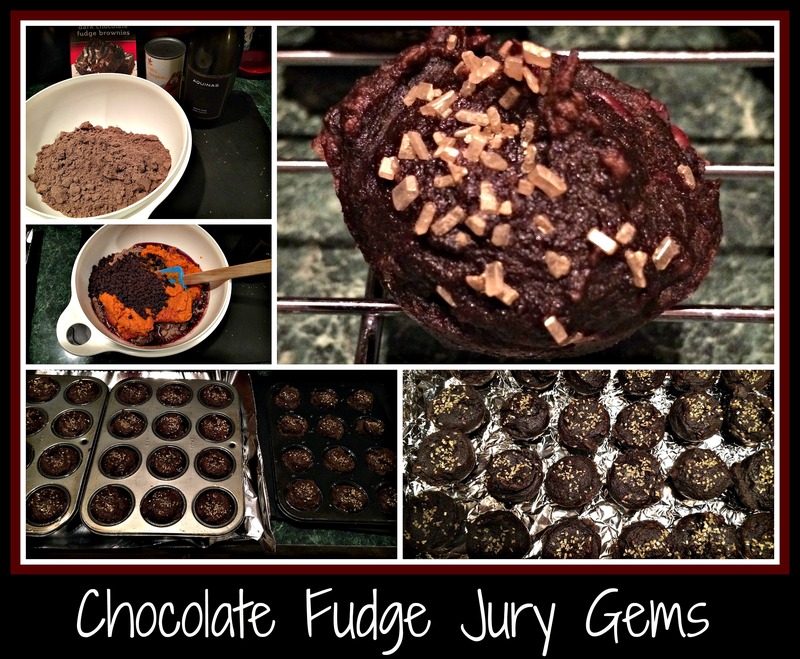 I got lots of positive comments on these snacks from my fellow jurors and that solidified the name for me… Jury Gems. We had three days together and I hope that everyone feels they did their best according to the law, as required. If you have a chance to make this recipe for your friends, feel free to alter the name a bit… these are delicious, healthy, and surprisingly filling. Enjoy!